Saint Stephen's is committed to walking alongside our neighbors and sharing the love of God with the world. With over 20 outreach ministries, we are sure you can find your place. Please download the Program Guide PDF for a complete list of options and the contact information if you would like to get involved. Cahaba Heights Elementary School: Snowflake Tree Each Christmas season the school counselor provides an anonymous list of needs to us and a Saint Stephen’s ministry group or family adopts a “snowflake” to provide Christmas gifts. This ministry grew out of a need recognized by the women of the church for families in need at Cahaba Heights Elementary School. Volunteer Opportunities. Adopt a Snowflake. Assist in delivery of gifts and packages to Cahaba Heights Elementary. The 1,870-square mile Cahaba River watershed drains urban and rural areas, farms and forests on its course from the southern Appalachian Mountains through the coastal plain to the Alabama River. About 200 square miles of the headwaters are the primary raw water source for the Birmingham Water Works Board system, the largest water provider in Alabama. Volunteer Opportunities. Participate in educational programs, volunteer planting events in riverside forest restoration projects and we host cleanup days along the river. The Community Furniture Bank (CFB) is a non-profit organization that specializes in the pickup, storage, and delivery of donated furniture, appliances, and other household goods. Volunteer Opportunities. Donate gently used furniture and household goods to CFB. They will come pick up donations. Saint Stephen’s supports CFB in a number of ways which will be announced in the weekly e-news. Community Kitchens of Birmingham is dedicated to feeding anyone who is hungry. There are an estimated 3,000 people each week who sleep on the streets of Birmingham. Community Kitchens serves over 95,000 meals annually at two locations to these individuals. Volunteers from Saint Stephen’s help serve the daily meals that are offered in the parish hall of Grace Episcopal and Saint Andrew’s churches. These hot meals help to nourish the body as well as the spirit of those in need. Our spirits are also nourished as we extend our hands and hearts to this wonderful community. Episcopal Place serves as a model for providing affordable, independent living for low-income seniors and adults with disabilities. It is located on Southside near Highland Park. Volunteer Opportunities. Provide companionship for residents, drive the van for grocery trips, light handy work for residents, minor clothing repair, volunteer at Gumbo Gala and other special events. Family Promise of Birmingham is a program that assists families in north-central Alabama who are temporarily homeless. Family Promise of Birmingham is unique in that it shelters entire families; most shelters require families to be split up. These pre-screened families spend their days working, at school, or at Southside Baptist Church, and then spend nights at area congregations. We host homeless families 4 times per year, a week at a time. Hosts are needed from 5:30-7pm for dinner and spend the night 7pm – 6:30am the next morning. Volunteer Opportunities. Sign up to cook and serve dinner, be an overnight host for one night during the week the families are with us. Set up & break down rooms, launder linens after the families leave. Check www.ssechurch.org for online signups. The Outreach Committee meets monthly on the 2nd Monday at 6:30 pm in Room 228. 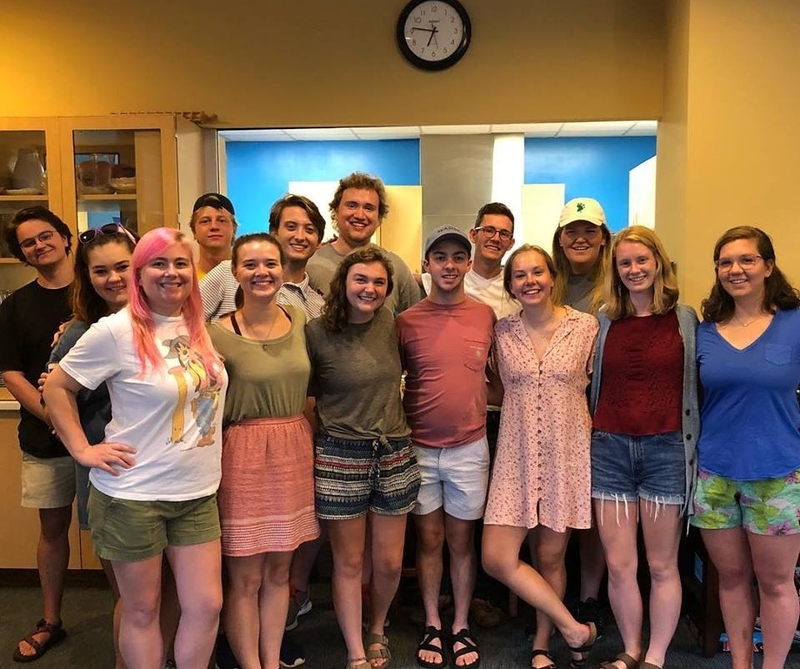 The committee has two purposes: to insure there are meaningful outreach opportunities for Saint Stephen's to live into her mission, and to award grants and funding to in need organizations. All are welcome to attend. Grace Episcopal Food Pantry provides groceries for as many as 80 families, three Tuesdays a month. The Clothes Closet offers much needed apparel for free. Each December, St. Stephen’s hosts a Christmas party for Woodlawn-area residents; each attendee receives a “goodie bag” with gifts and personal care items. Join the fun loving and creative cook team to prepare award winning Gumbo at the annual Gumbo Gala in April. This fun event raises money for Episcopal Place. Volunteer Opportunities. Cook, serve, host the Saint Stephen’s tent at the gala, serve patrons gumbo and have fun! Habitat Birmingham is dedicated to eliminating substandard housing locally and worldwide through constructing, rehabilitating and preserving homes. To date, more than 600 houses have been sold at zero percent interest, in addition to 450 other housing units repaired or rebuilt, for a total of more than 1,000 families served in the Greater Birmingham area. Habitat Birmingham is ranked 4th among more than 1,500 Habitat affiliates in the United States. Click HERE for a video about the first solar Habitat home in Birmingham. Kairos of Alabama operates as a State Chapter and serves in prisons and jails through a contractual agreement with the Warden and Chaplain of each institution. At present, Kairos is in 13 facilities across the State of Alabama. A group of women also minister to female family members of incarcerated men through the Kairos Outside Ministry. Kairos weekends consist of 40 hours on a weekend spent with 42 inmates chosen by the warden and correctional officers. How Saint Stephen’s Can Help: Kairos needs your time, talent and support along with prayers during the weekend the Saint Stephen’s Kairos Team is witnessing to the incarcerated men. 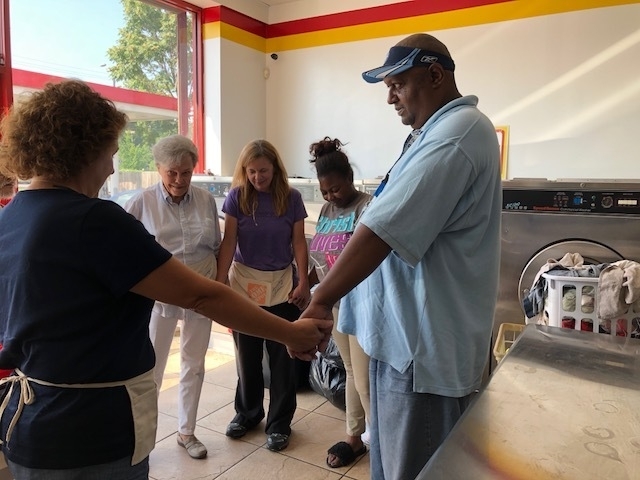 Laundry Love is a ministry that takes place in Grace Woodlawn where members of Saint Stephen’s join with members of the community to wash clothes and provide economic relief. Duties include: helping people sign in at the table, adding washing pods and dryer sheets to the washers and dryers, and putting quarters in the machines. Most of all, talk and have fun with the people washing their clothes. In the Outreach Alcove food, clothing and other items are collected for the outreach agencies that St. Stephens serves. A different item and different agency is highlighted each month. St. Stephen’s is taking its mission outside the borders of the United States. Mission trips travel to Haiti and Honduras regularly. Saint Stephen’s members consistently has traveled around Central America and the Caribbean serving on different international mission trips. Currently, Saint Stephen’s is exploring a companion relationship abroad with a trip in the works for the fall of 2019. To learn more about the Global Episcopal Mission Network and 2018 Global Mission Conference, click HERE. Sawyerville is a rural town in the Black Belt of Alabama. Sawyerville Day Camp is an annual free summer camp and leadership program that serves campers from all over Hale County. Sawyerville has over 750 campers (6-14 years of age) that participate between the three weeklong sessions and over 300 volunteer staff. Volunteer Opportunities. Cook, deliver and serve a meal for staff during one of three camp sessions, volunteer on “Moving Day”, Contact Sawyerville Day Camp directly for counselor positions. Special Session is week-long summer camp for people with physical and mental disabilities from around the state of Alabama. 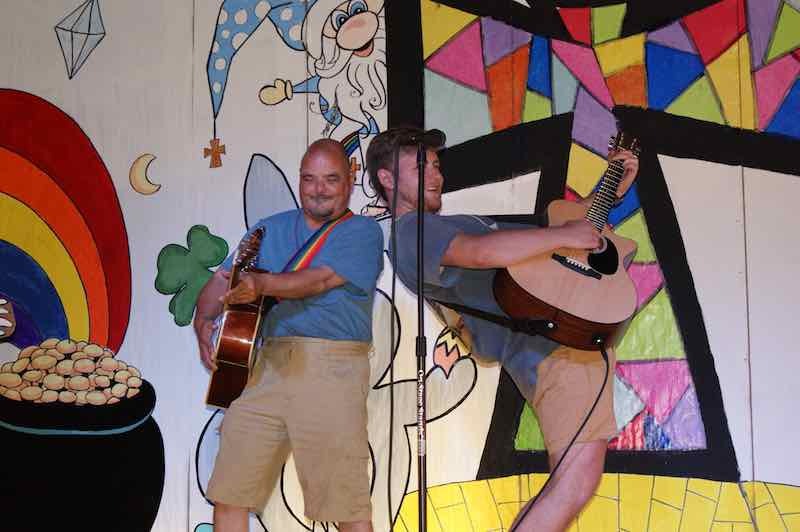 Our funding provides scholarships for campers. Volunteer Opportunities. Contribute to a supply drive for campers, prepare and serve a daily “Happy Hour” (snack time) for campers and staff, make Welcome packets for campers. Join a transition team to help break down camp, prepare lunch for 60 staff members. Trinity Commons features a chapel, student center and study area for students at the University of Alabama Birmingham, Samford University, and Birmingham Southern University. It offers students a place to worship, play and study away from the hustle and bustle of university life. Volunteer Opportunities. Cook dinner for approximately 18 students on Sunday evening, volunteer to assist with maintenance and upkeep of the house and common space.